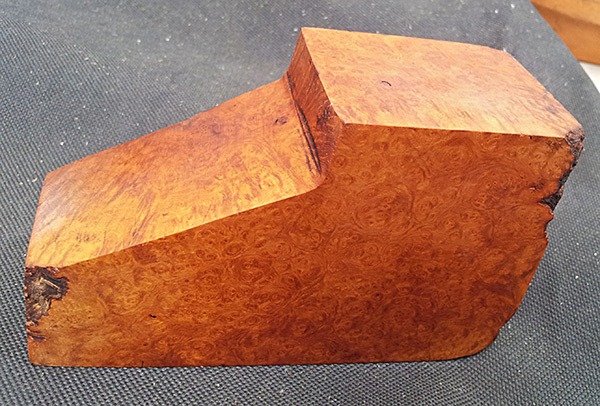 Color/Appearance: In pipe-making, there are two types of burl sections: ebauchon, and plateaux. 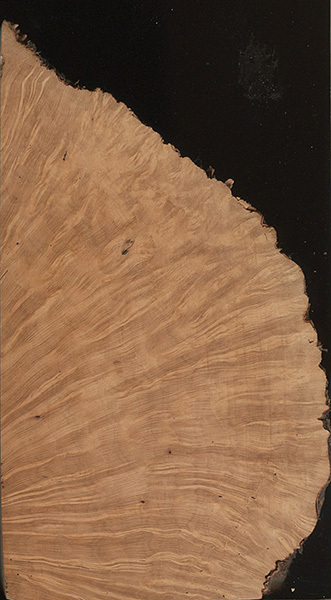 Ebauchon burl blocks are usually rectangular in shape and cut from the center of the burl. They tend to have a more random grain pattern and are the least expensive. 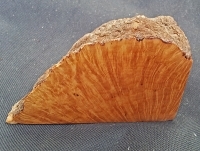 Plateaux burl blocks are cut from the outer edge of the burl, and are usually in a quarter-round shape which still includes the bark on the outside edge. They tend to have a more consistent grain pattern, and are more expensive than ebauchon burl blanks. Allergies/Toxicity: Besides the standard health risks associated with any type of wood dust, no further health reactions have been associated with Briar. See the articles Wood Allergies and Toxicity and Wood Dust Safety for more information. 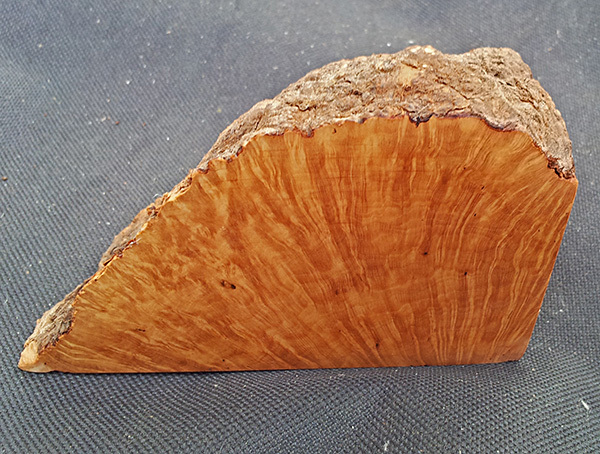 Pricing/Availability: Only root burl blocks are sold commercially. Prices are on par with most other types of exotic burl wood, though Ebauchon blocks tend to be more common and less expensive than plateaux blocks. Common Uses: Tobacco pipes, knife handles, and other small specialty wood items. Comments: Briar burl is the tumor-like growths between the roots and stem of the shrub. The wood has very good heat-resistance properties, and is favored for use in making the bowls for tobaccos pipes. Scans/Pictures: The burl section pictured below is plateaux.